Just like a coin--there are two sides to every story.The Black Queen is known across Kelda for her ruthless heart and wicked nature. Rya has spent years living up to the image people have of her, only to find it threatening to end her life. Accused of a murder she did not commit she is forced to flee her kingdom, and the trained assassin chasing her. With nothing but the clothes on her back, and without the use of her magic, she seeks solace in the one place for people like her--the Ashen Forest.For years Princess Cam has spent her time memorizing the Ashen laws and perfecting her archery, all in preparation for the day her father hands the kingdom down to her. She's worked hard to be everything that's expected from her when a chance encounter puts it all to the test. Saving the unconscious queen was an easy choice to make, but dealing with the fallout won't be as simple.A killer lurking outside the castle walls, a surprise find in the forest, and a lost prince further twist the young women's lives together. At the end of it all both Rya and Cam will have to confront what lies in their hearts, and decide once and for all what they are willing to fight for. You all need this in your lives. Like, full honesty, I was an editor for this book but my point stands. You NEED THIS in your lives!!! If you like a) royal ladies falling for one another, b) redemption storylines, c) epic healing friendships, d) beautifully written fantasy or all of the above then you better have this on your TBR. 2,5 🌟This book is January's Sapphic Book Club read hosted by @sapphicliterature.The premise was amazing but the execution has fallen short. *sigh* I wasn’t this disappointed in a book in a while… It wasn’t even that awful -- just awfully average. And I’ve been so hyped with the premise! Like, come on, evil queen? Magic? Sapphic romance? It could have been the best thing ever and yet here we are…➽ Let’s start with the good things, maybe? I wanted to like it so much I don’t want to drag it complet 2,5 🌟This book is January's Sapphic Book Club read hosted by @sapphicliterature.The premise was amazing but the execution has fallen short. *sigh* I wasn’t this disappointed in a book in a while… It wasn’t even that awful -- just awfully average. And I’ve been so hyped with the premise! Like, come on, evil queen? Magic? Sapphic romance? It could have been the best thing ever and yet here we are…➽ Let’s start with the good things, maybe? I wanted to like it so much I don’t want to drag it completely. The overall plot was alright. With some more work and more development it could have been much better but the idea was good. It was also fast to read and, beside the cheesy and sometimes cringey dialogue, the writing wasn’t bad either.And Norell! I would rather read her story -- she was the most interesting character. Only Gavin came close to that but he was only present for the last ¼th of the book. She also had more chemistry with Rya than Cam did. ¯\_(ツ)_/¯Also, Cam and Thane's friendship was kinda cute.➽ Okay, now onto the bad. I thought this would have some badass action scenes and politic games but 1. most of it was Cam and Rya dancing around each other with their feelings, and 2. aside from romance, the conflicts are resolved pretty quickly (even though they keep making Really Dumb mistakes) and things have no chance to escalate? Of course, I wanted a HEA but I want them to work for it. Even though it was so romance focused the romance felt bland and forced. Everybody kept saying that they’re in love with each other but I just didn’t see it? There was attraction but it’s a long jump from that to love.It was so confusing to have Rya act so Evil Queen in the flashbacks and then be the sweet friendly girl with the Ashens? It could have been fixed with her only acting nice to better her chances of receiving protection she needs only to warm up to them in spite of her trust issues but as it was she just felt like two different people. Also, the Evil Queen arc was pretty weak. I hoped for some redemption arc or something but instead all we get are excuses and it’s not what you think it was . And Cam just goes for that -- which, yeah, hot evil queen a sapphic dream but that makes No Sense for her character who’s supposed to be a successor of this righteous Ashen line. We only learn why the main antagonist is someone we should root against about the time we meet Gavin? Which is the last ¼th of the story. Before that we’re just supposed to hate him because he wanted to get rid of the Evil Queen, I guess...All in all it’s a fast to read average YA with no much depth. You get wlw though so that’s a-okay. This book was 2019 January’s Sapphic Book Club read hosted by sapphicbookclub..So my copy of this is 405 pages (although some of those are empty because of a formatting issue in the ARC). I read up until about 300, then decided I'm just not motivated enough to read the rest.1) I felt like the characterisations were all over the place, so I couldn't really connect to the characters, and I was bored a lot of the time. I guess the point of the book is to show that the stories and rumours we see abo This book was 2019 January’s Sapphic Book Club read hosted by sapphicbookclub..So my copy of this is 405 pages (although some of those are empty because of a formatting issue in the ARC). I read up until about 300, then decided I'm just not motivated enough to read the rest.1) I felt like the characterisations were all over the place, so I couldn't really connect to the characters, and I was bored a lot of the time. I guess the point of the book is to show that the stories and rumours we see about Rya paint her as evil, and then we get the truth from her perspective, but like... the truth is still awful? Like, she's still an evil person for doing that stuff? And it's just not consistent with her behaviour to the Ashen and I have no idea why Cam is attracted to her or how she can overlook that stuff.2) Listen. I know this is supposed to be YA and YA is all about teens doing incredible stuff, so okay, I can buy the two main characters being 19 and 17. I imagined them at least mid-20s before I found out their ages, but fine, I can roll with that. But the other stuff? The apparently-13-year-old kid who doesn't sound 13 at all and talks about killing someone casually? The big bad scary assassin turning out to be 15? The bad guy drafting literal 11-year-olds into his army? It's just too much for me tbh. This was a beautiful story! I loved so many of the characters by the end and almost cried even though it was the ending I hoped for. Thanks to Cece from ProblemsofaBookNerd for recommending this lovely story! I read this book as part of the January 2019 Sapphic Book Club hosted by @sapphicbookclub.This isn't the review I hoped I'd be writing when I started reading this book because the summary sounds amazing and I was really intrigued, but it left me quite disappointed and I found the whole book confusing. I struggled through 150 pages (it's 405 on my phone) over a few weeks and then finished it today. Because I read it so quickly I don't have any specific notes, but I'll try to explain in general t I read this book as part of the January 2019 Sapphic Book Club hosted by @sapphicbookclub.This isn't the review I hoped I'd be writing when I started reading this book because the summary sounds amazing and I was really intrigued, but it left me quite disappointed and I found the whole book confusing. I struggled through 150 pages (it's 405 on my phone) over a few weeks and then finished it today. Because I read it so quickly I don't have any specific notes, but I'll try to explain in general terms why I didn't like it, so there's going to be spoilers below. (view spoiler)[I did like the plot. 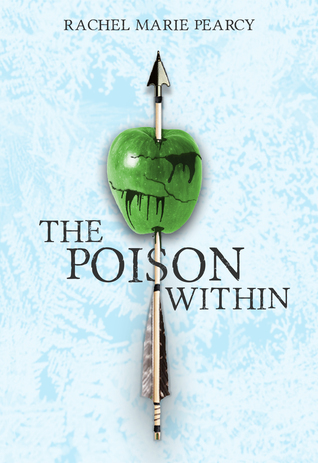 The overall plot is quite good, even though I honestly thought the Evil Queen in the prologue was going to be the Big Bad and didn't connect that it was Rya until I read the Nix told us that Rya was the same person as the Queen in the story about the apple seller's son, so that bothered me. My main issue with this book was the characterisation. Rya is the Black Queen - she's an awful person, but that doesn't seem consistent with the version of her we see with the Ashen or for the majority of the book. Her actions are excused by Cam just because Cam is attracted to her, and I don't feel like she gets a character arc so I still don't understand that. I don't like Rya as a character, and some of the side characters have better character arcs than the main characters do, which doesn't make sense to me at all and that's what made reading it slightly difficult. Another point about Cam and Rya that bothered me is how their relationship develops so quickly. I don't root for them because I don't feel like they really had believable 'feelings' for each other, and I couldn't bring myself to identify with any aspect of them.I think the book had a good writing style that was quite easy to read and engaging, but some of the dialogue was clunky and slightly cringy at times. Happy endings are always great, and I'm really glad it ended the way it did, but overall I was left underwhelmed by it because I wasn't entirely engaged along the way. (hide spoiler)]I rated it three stars because we need more wlw books and I fully support authors writing these stories, but I don't feel like The Poison Within lived up to its potential that the summary promises. This was the January book for sapphic book club http://sapphicbookclub.tumblr.com/I didn't really enjoy this one. The prologue was intriguing with its evil queen premise but when getting into the rest of the story Rya felt so unlike the person in the prologue I questioned whether there was actually a different queen who was evil. I feel that the point was that there was something good in her but I feel like the crueler part of her nature should have at least been present somewhere in her interac This was the January book for sapphic book club http://sapphicbookclub.tumblr.com/I didn't really enjoy this one. The prologue was intriguing with its evil queen premise but when getting into the rest of the story Rya felt so unlike the person in the prologue I questioned whether there was actually a different queen who was evil. I feel that the point was that there was something good in her but I feel like the crueler part of her nature should have at least been present somewhere in her interactions with the Ashen kingdom characters.One of the other things that bothered me was Rya and Cam's romance . It felt like it developed too fast. The interactions they had do not feel like the sort where it would make sense for them to be in love with each other even though some fondness would make sense. I feel like they shoud have had more interactions before their relationship developed to the point it did.